I'm on a roll, two posts in two days and here was me thinking I was slacking! If you are a regular reader of my blog you will have seen my Festive Special blog, if not read it HERE! It has lots of tips on simple and easy ways to give your Christmas wardrobe a lift. Today I am practicing what I preach and putting a bit of "bling" into my daily wardrobe. Take a logo t-shirt, some boyfriend jeans, Uggs (yes I still say these are fashionable) and a sequin cardigan and you are set to go. Oh and of course I have my favourite statement necklace in the mix too. 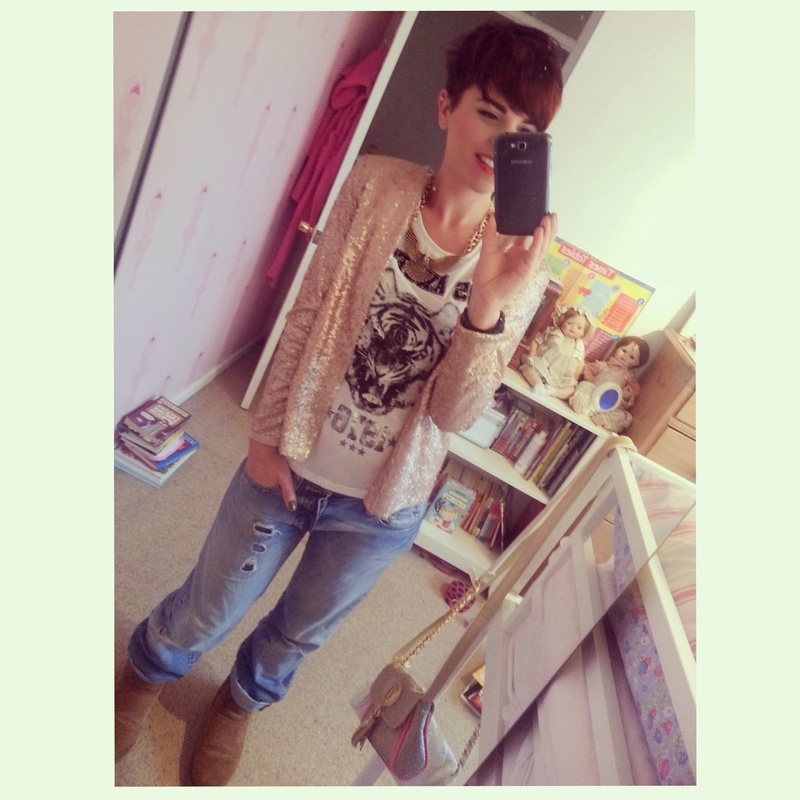 Sequin Cardigan- Florence and Fred (Tescos) - Old stock but they have lots of lovely bling on offer! Catching Up and a Sale Outfit! Little Vikings and a Sequin Bow.